How do you create the ultimate Sunday session? 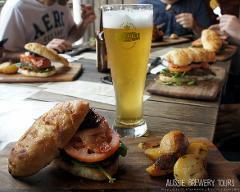 We recommend you start with the best breweries and cideries on the Mornington Peninsula. Then add an incredible range of over 25 different beers and ciders to quench your thirst throughout the day. Lastly combine a tasty lunch with a touch of live music and with Aussie Brewery Tours as your designated driver you have the perfect day! 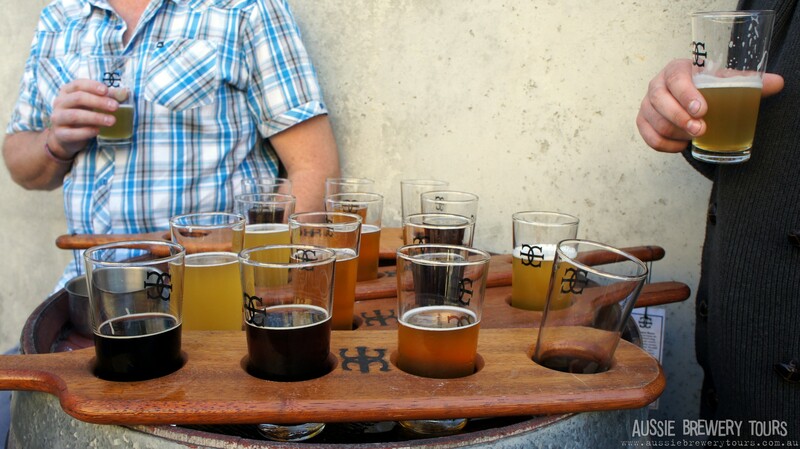 Fantastic Venues: Visit 4 breweries and cideries along the Mornington Peninsula. Gourmet Food: Awesome food with a complimentary beer/wine/cider included - dietry options are available but very limited. Please contact us if you have any questions. Fantastic Variety: With dozens of beers and seasonal brews coupled with apple and pear ciders this tour has a fun range of products to try. We run small group tours, as such, we don't allow bookings of more than 7 pax per group. Please contact us if you would like to book a group of more than 7 people and we can arrange a private tour.